Generally made with beef (Rib-eye), you can use chicken, pork or lamb. Marinate, grill, roll up in some flat-bread and enjoy. Similar to Mexican Carné Asada with a definite Asian touch. Same style, totally different taste! be sliced no thicker than 1/4 inch. • 2 tablespoons peanut oil brushed on meat just before grilling. the thin slices of meat. Marinate for 4 hours or better overnight. •   Remove the meat from the marinade and drain well. 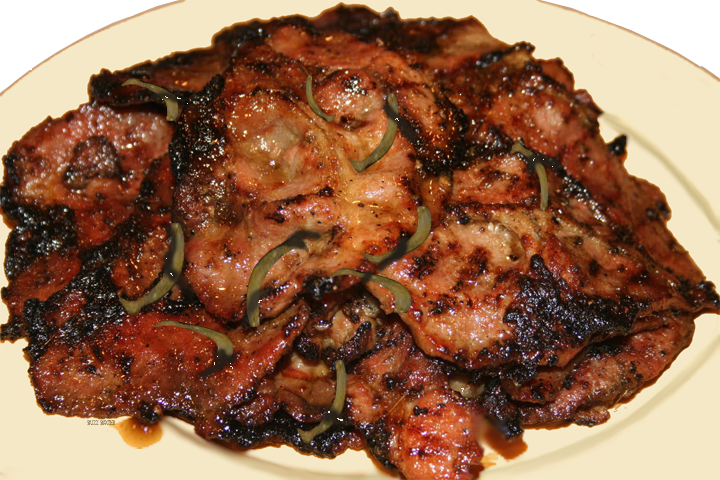 •   Brush the meat with peanut oil and grill on a hot charcoal or gas grill. grape tomatoes,  bean sprouts, caramelized onions or even shaved carrots. Roll up and enjoy. are very oily and prone to getting rancid.